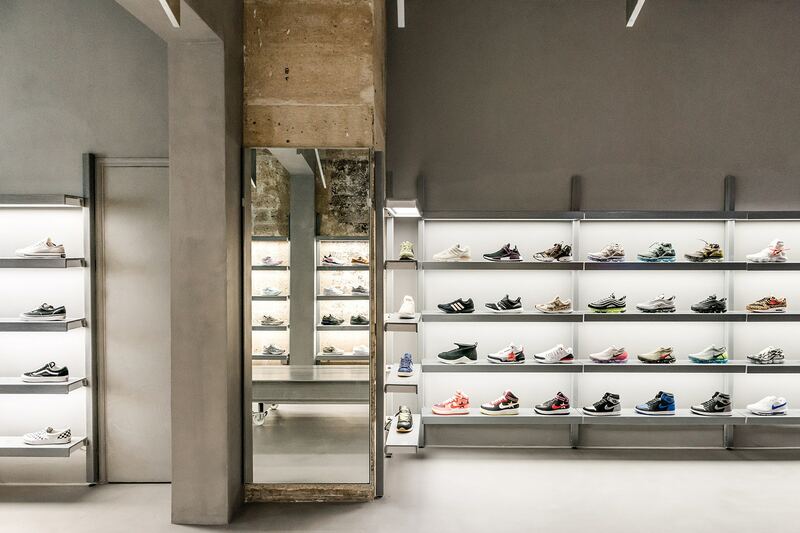 Sneaker Boutique Footpatrol has expanded into Europe with its new Parisian Store. 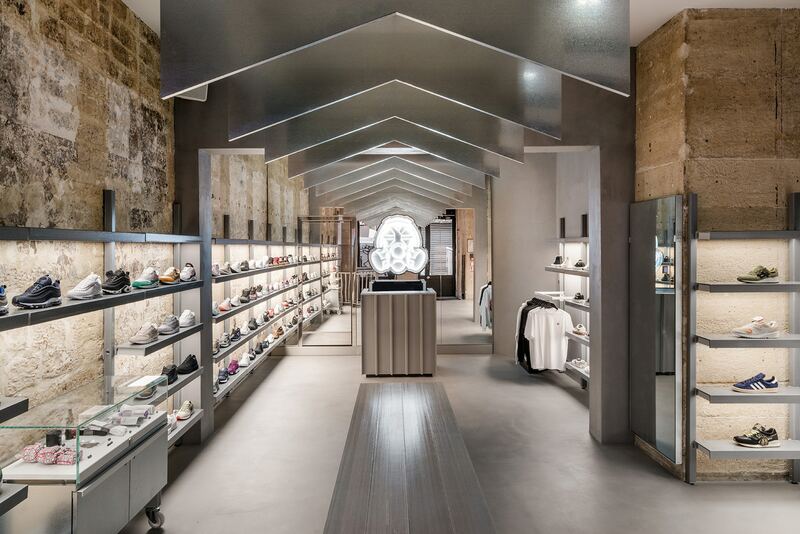 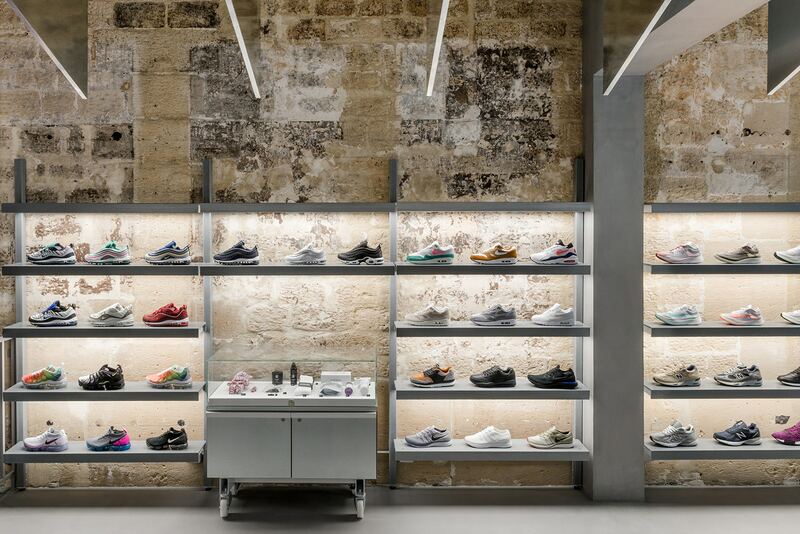 Located near the Pompidou in the Le Marais district, the sneaker boutique was designed by London-based Counterfeit Studio, with references to the retailer’s hometown location throughout. 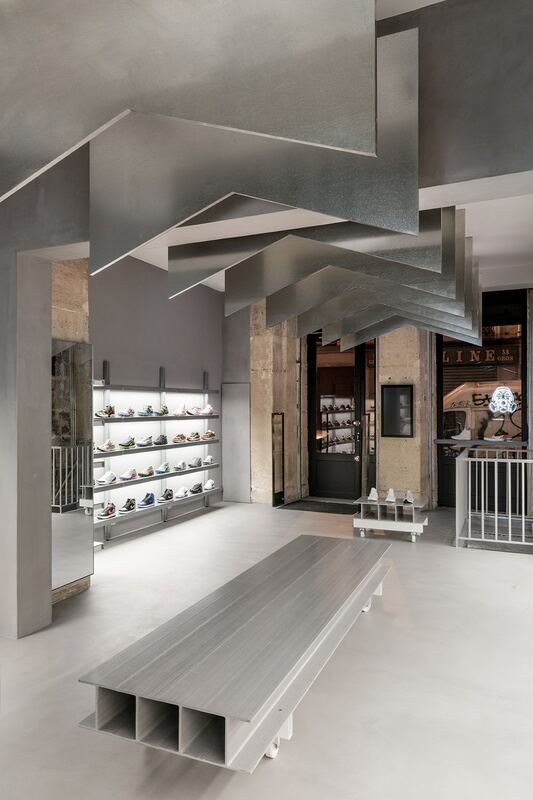 The interior has an industrial theme, featuring exposed concrete throughout and steel girder-style benches in the space. 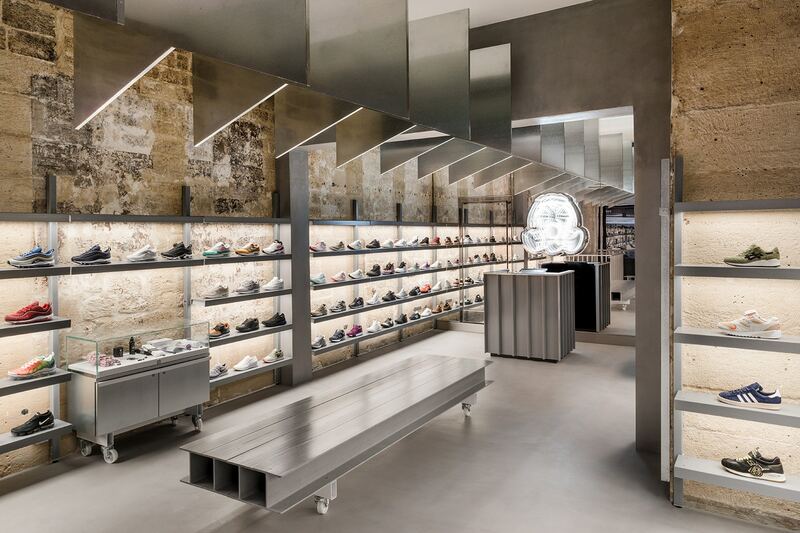 The Soho store is referenced through the black storefront and the suspended galvanized steel ceiling recalling the pitched roof of the London boutique. 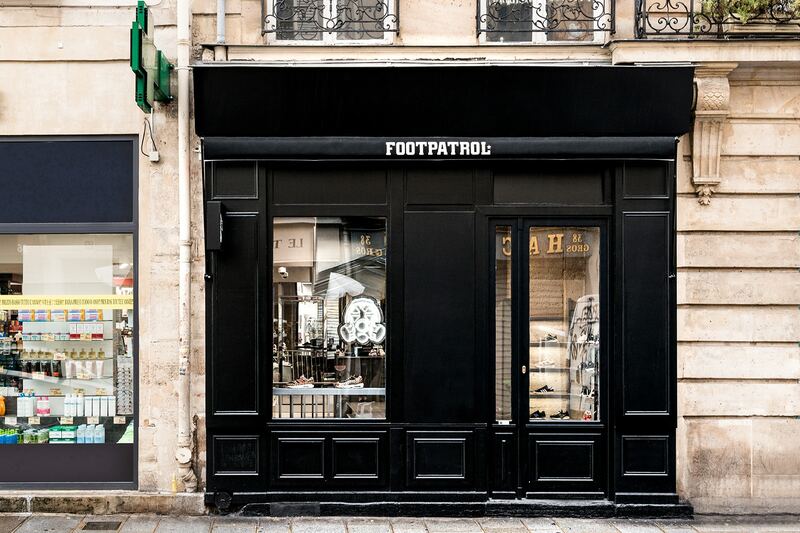 The centrepiece of the store, of course, Footpatrol’s signature Gas Mask logo, with a white neon iteration. 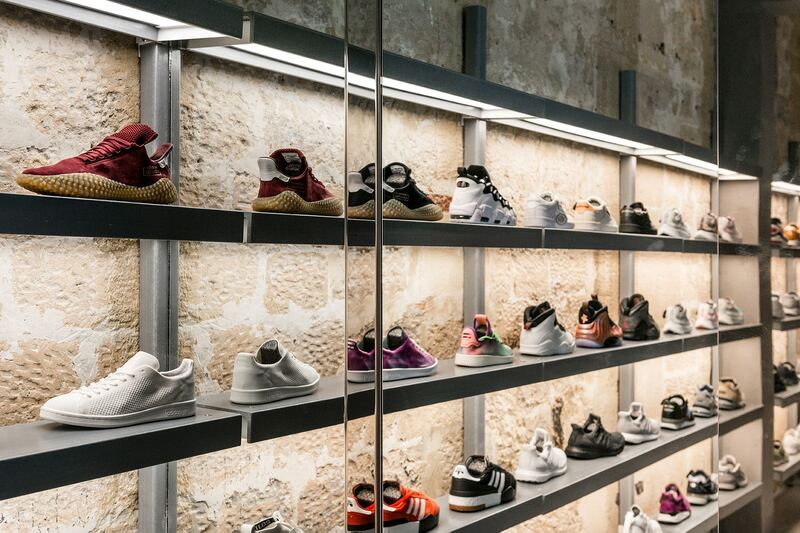 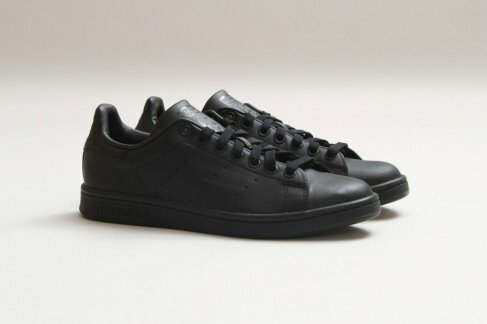 The sneaker selection, as usual, is on point, on trend and filled with dope pieces from all of your favourite brands. 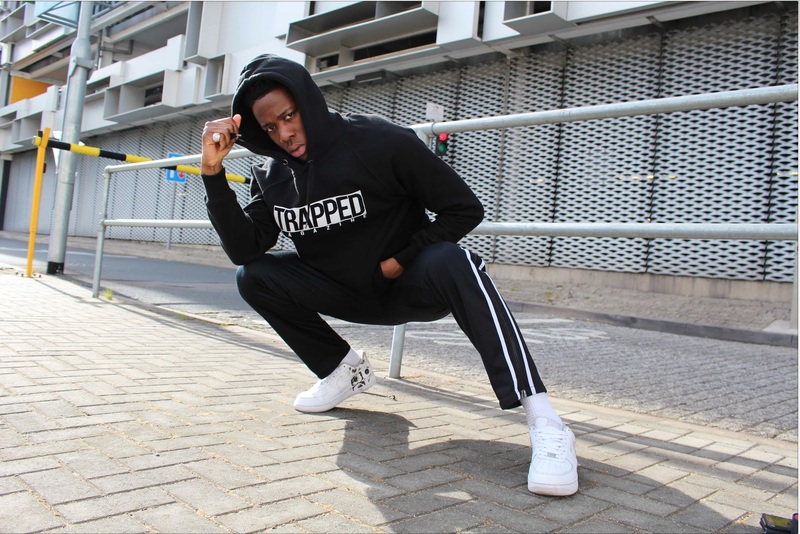 Check out the dope pics and make sure you pass through when visiting the City. 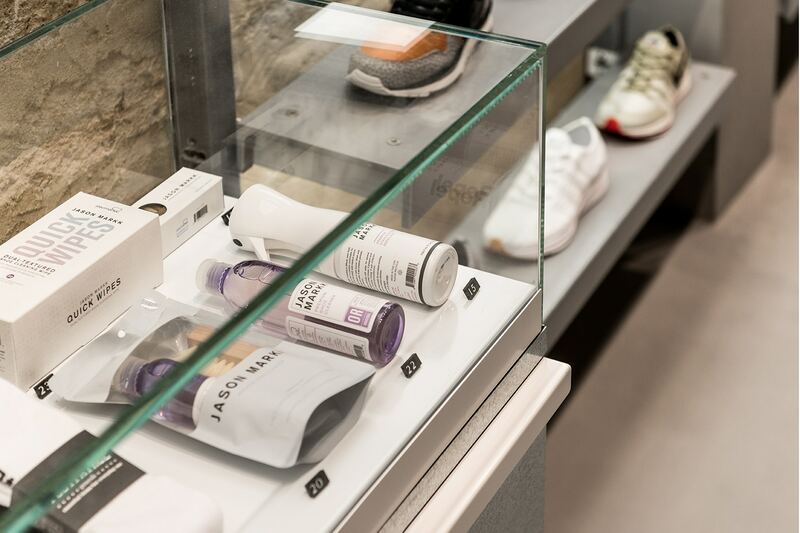 Is This The Adidas Boost 5.0?